Will Smith as the Genie in the new teaser for "Aladdin." 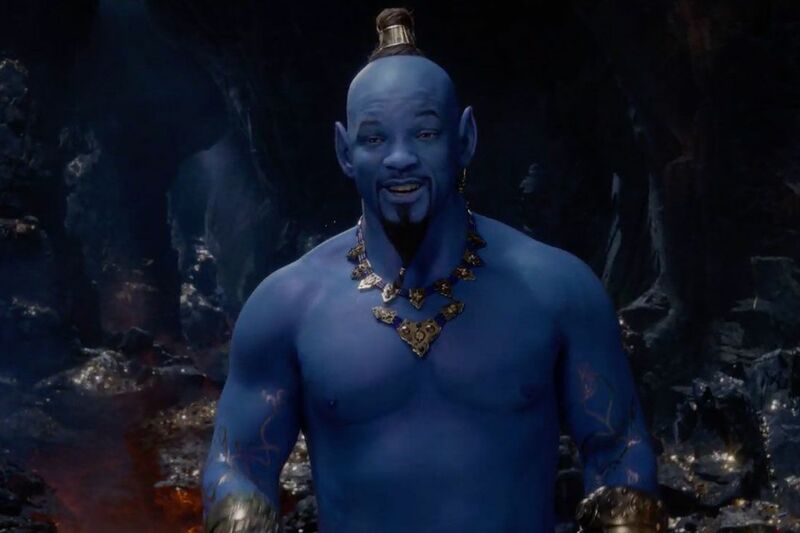 Will Smith promised fans back in December that his version of the Genie in the live-action adaptation of Disney’s Aladdin would be blue, just like in the 1992 animated original. But with the debut of film’s trailer on Sunday, it appears the West Philly native’s take, while blue as promised, is a little more nightmarish than nostalgic. Released during Sunday night’s Grammy Awards ceremony, the trailer shows Smith decked out as the Genie in his blue form for the first time. For some, it was too much, and drew comparisons to other movies and TV shows featuring blue characters, like Avatar, Arrested Development, and The Smurfs. While others still just flat didn’t like Smith’s Genie, and wondered if the trailer was little more than viral marketing. Either this is a super clever marketing troll by Disney, and this isn’t what the genie will actually look like for Aladdin or... I dunno. Man, I just can’t believe this can possibly be the real thing. “Y’all need to trust me more often,” Smith added. Aladdin is currently scheduled for a May 24 release.